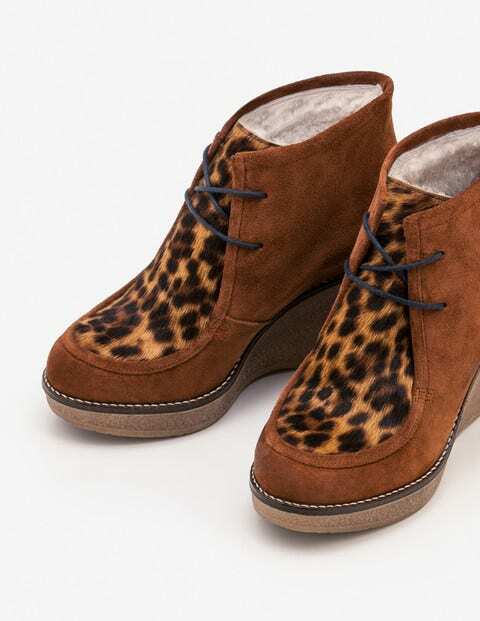 We don't mean to brag, but these luxe wedge boots really do have it all. They're lined with shearling for an incredibly snug feeling, while the easy-going crepe heel gives a comfortable and subtle lift. We completed the sophisticated suede exterior with statement-making pony detailing too. See what we mean?